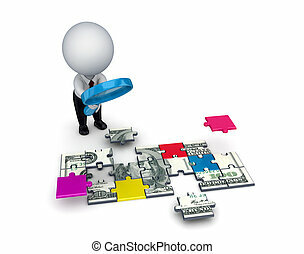 3d people with a loupe and dollar made of puzzles. 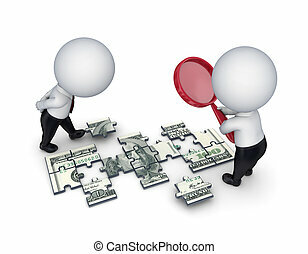 3d small people with a loupe and dollar made of puzzles.isolated on white background. 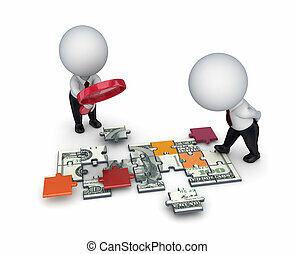 3d People With A Loupe And Dollar Made Of Puzzles. 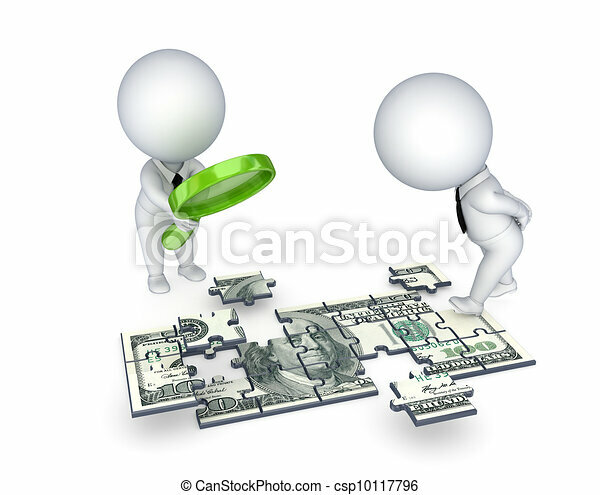 3d small people with a loupe and dollar made of puzzles.Isolated on white background. 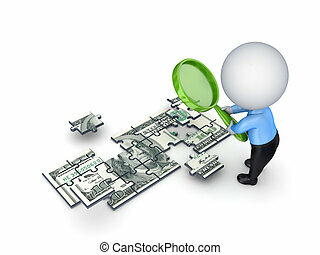 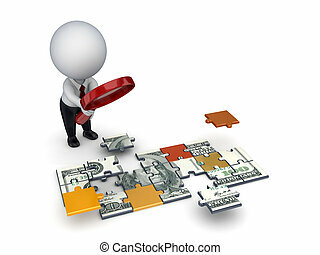 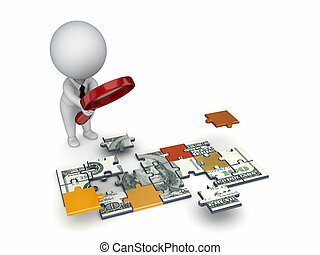 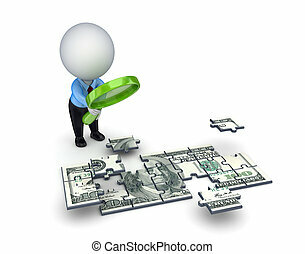 3d small person with a loupe and dollar made of puzzles.Isolated on white background.